Schiffman Sheridan & Brown, P.C. At our Harrisburg, Pennsylvania law firm, you can work with a lawyer who focuses on handling your type of case. Yet if your needs are complex and involve other areas of the law, you can work with a team of lawyers within the same firm who can bring their expertise to bear on all of your legal concerns. Together, the attorneys at Schiffman, Sheridan & Brown, P.C. can accomplish almost anything you need. 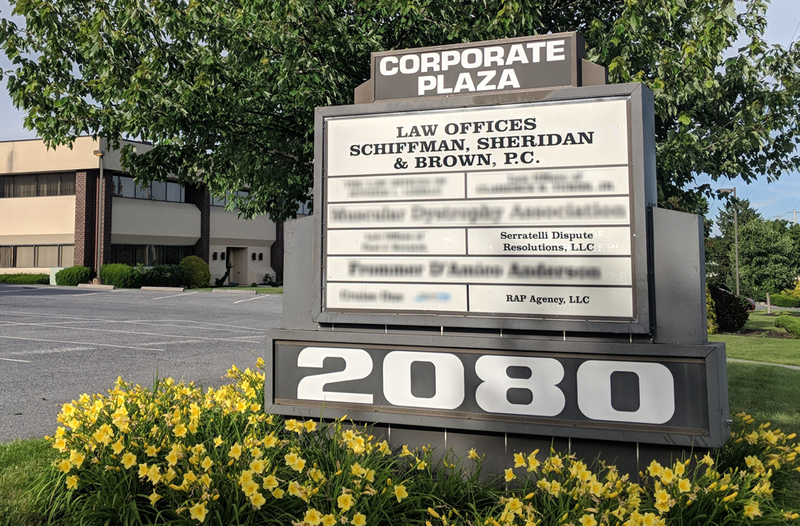 Welcome to Schiffman, Sheridan & Brown, P.C. Our Harrisburg, PA law firm represents clients in the Harrisburg area, and the surrounding Central Pennsylvania counties in business (for profit and non-profit) formation and litigation, family law, employment law, estate planning, and real estate transactions. Whether you need a business attorney, family attorney, estate planning attorney, or bankruptcy lawyer, you can work with a lawyer with the legal knowledge and experience your case requires. Schiffman, Sheridan & Brown, P.C. offers a team of lawyers with a broad range of knowledge in several practice areas, including estate planning, living wills, living trusts, probate of estates, business formation, real estate transactions, bankruptcy, divorce,custody, and more. If you have complex legal needs that require services in more than one area of the law, we can provide a team of lawyers in one firm to address all your legal concerns. We offer personal service and guidance from the first consultation until your case has been resolved. Our attorneys take the time to understand all aspects of your situation to develop the best strategies and will work with you to find the best solution for your case. If you are looking for experienced lawyers, please browse our website to find more information about our firm, our attorneys, and practice areas. Please contact our office today at 717-540-9170 for more information or to schedule a legal consultation with an attorney.